Every now and then there’s a certain model who captivates not only our forums but the industry. We couldn’t get enough (still can’t, really) of Grace Elizabeth last year following a spectacular Vogue Italia cover and a campaign for Max Mara. Now, 2018 is shaping up to be the year of Birgit Kos. 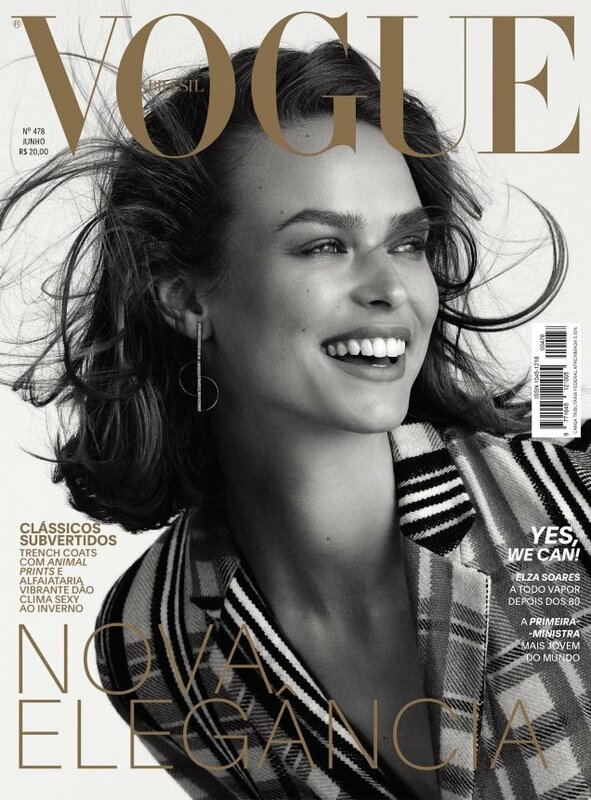 After walking just about every major show during fashion week and an appearance on Vogue Italia‘s April offering, Birgit now takes to the cover of Vogue Brazil. The Dutch beauty stars on the title’s signature duo of covers for June 2018, serving some serious supermodel realness in the retro-inspired images, captured by photographer Mariana Maltoni with styling from Pedro Sales. Members of our forums were all for seeing Birgit. “She’s everywhere! If Grace Elizabeth was the model of 2017, Birgit is the face of this year. Hope she gets a cover by [Steven] Meisel,” praised forum member ivano upon checking out the covers. “Wow! She is such a stunning girl!” mikel admired. “Supermodel vibes. So happy to see her gracing Vogue Brazil!” wrote guimon. “Love the first cover (above), that radiant smile!” said KateTheGreatest. “The first cover is really beautiful, her smile is contagious,” agreed liaa. “The covers themselves are not much to write home about, but this girl is absolutely gorgeous. She deserves to be a supermodel,” added MyNameIs. Sharing the same sentiments as everyone else was forum member lelaid. “The second cover (below) is simple and amazing! She looks like a true supermodel. See Birgit’s accompanying cover story and join the conversation here.